- It has vibrant colors and will not bleed. - The cord is sturdy and it will not break when being pulled with bare hands. - It is very uniform in thickness, color, and texture. - The rope is lightly waxed. It is easy to maneuver and leaves no residue. - It has a generous amount of cord which makes it very cost effective. Mandala Crafts is located in Austin, TX. We have been making quality jewelry accessories for more than 15 years. All our products are made with care and professionalism.Mandala Crafts, a trademark solely owned by Mandala Trading Inc., is the only distributor of Mandala Crafts. 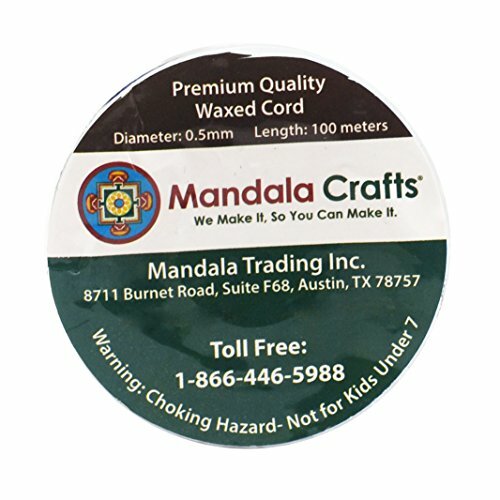 Every spool is marked with Mandala Crafts® sticker. Our logo, brand, and slogan are all intellectual properties of Mandala Crafts. The brand is registered with US Patent and Trademark Office. 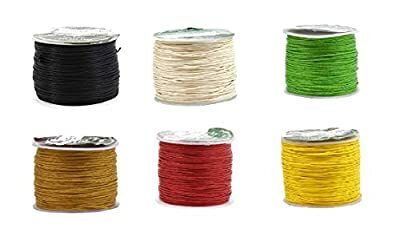 Size: 0.5mm; Length: 100 Meters (109 Yards). 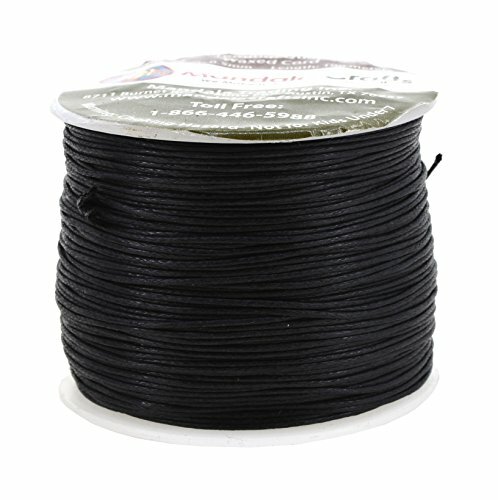 This cord is great for making prayer beads and malas. 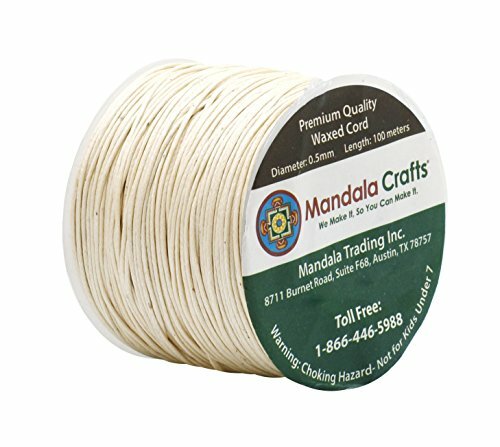 Made from Cotton and Lightly Coated with Wax for Easy Weaving, Knotting, and Macrame Perfect Waxed Cotton Macrame Cord for Jewelry Making Supplies; Mandala Crafts® takes pride in making products carrying our brand. This spool of waxed cord carries a 30-day satisfaction guarantee. No questions will be asked if you are not completely satisfied with the product and want to return it. Actual colors may vary slightly from the images due to monitor resolution setting and photography lighting.